Make your green fingers happy and give yourself the best tools for gardening! Say goodbye to your rusty and blunt gardening blades. Prune, shear and graft your precious plants with precision using this heavy-duty Gardener's Multifunctional Grafter. 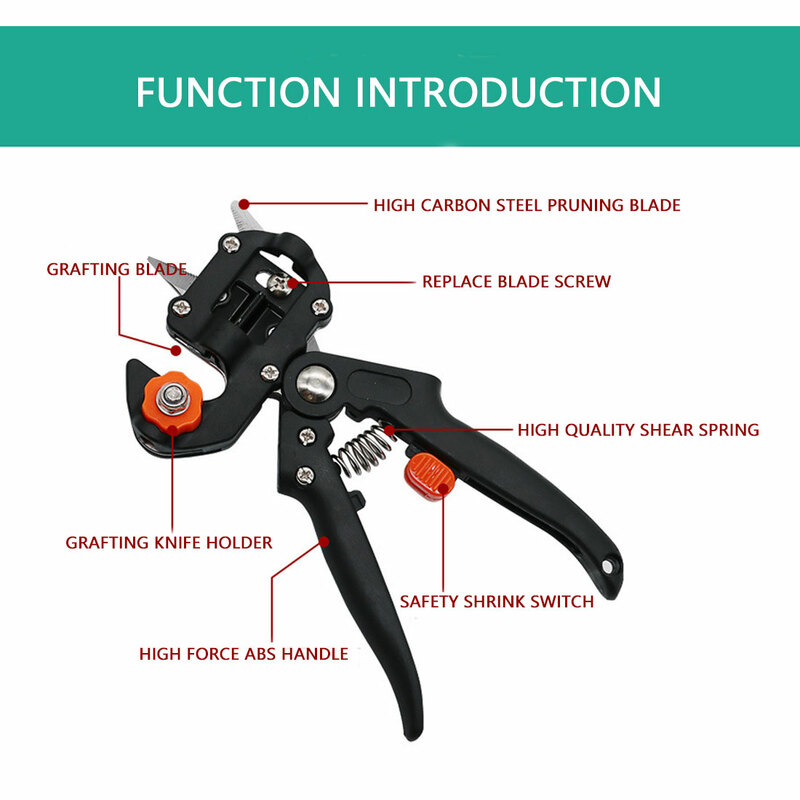 This tool is used and loved by many professional and avid gardeners around the world, especially those looking to try the grafting technique. Just check out our reviews! If you are not getting it for yourself, it is perfect for your loved ones who have green fingers! Check out "Instruction" tab for a step-by-step grafting technique. 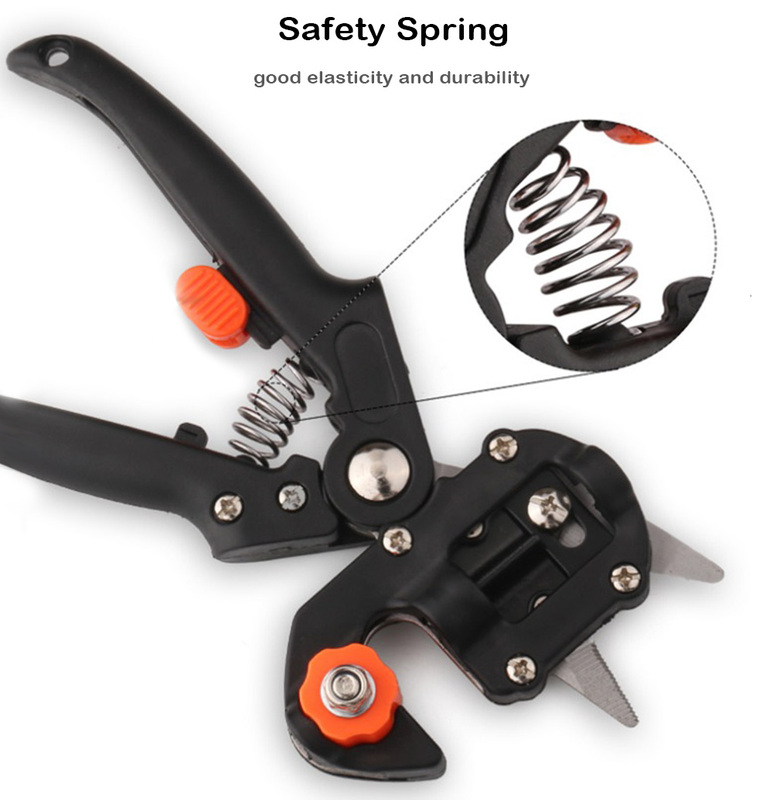 2 replaceable pruning cutting blades: U cut and V cut, each blade with two cutter points. 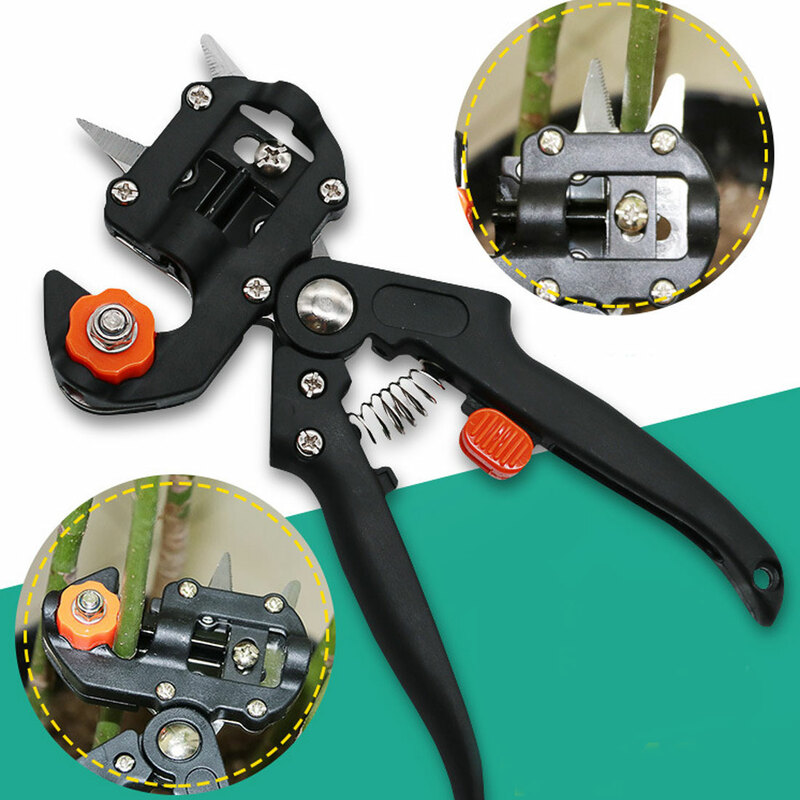 As long as you have rootstock and scion of the same diameter, grafting cutting blade cuts will fit them together perfectly, giving you a stable graft. 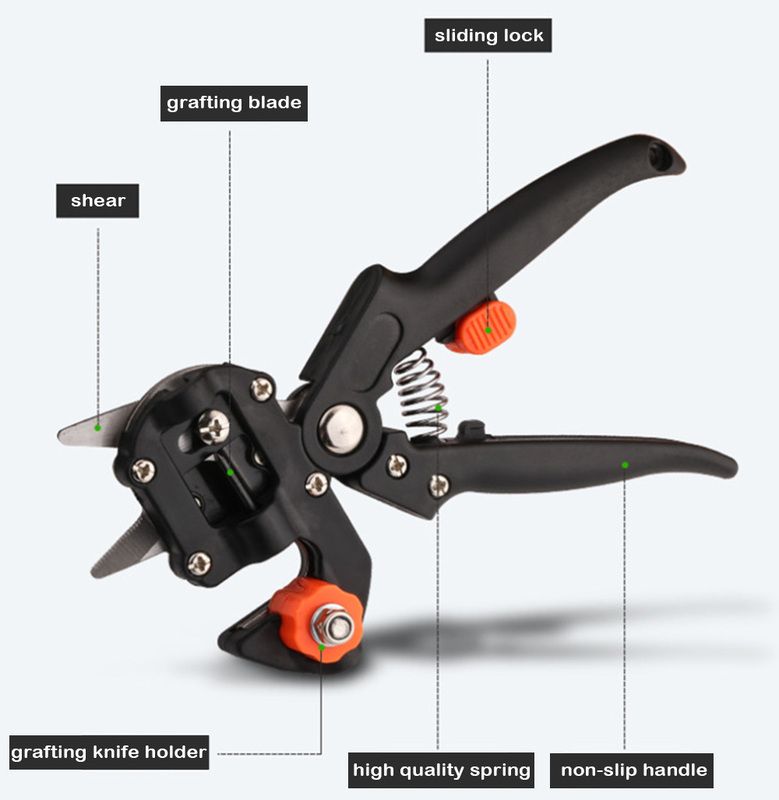 Perfect Garden Tools for you: If you want to be a pro in grafting, you need a professional grafting tool as well. The Grafting Tool makes a perfectly clean cut every time you use it. It will work on many kinds of plants, especially on fruit trees. Step 1: Hold the grafting stock in the grafting tool and squeeze the handle to make the cut, repeat this step to cut from the donor plant. Take care to ensure that the groove is cut in the stock plant. Step 2: Slide the donor stem into the groove of the stock plant, matching the cut surfaces as closely as possible. Step 3: Place sterilizing material around the joint and bind with tape, which will protect the plant from bacteria and harsh weather conditions. Step 4: Use the pruner to cut out dangling branches from the plant. Step 5: The grafting tool with the "V & U" blade can be used to cut. Never thought that cutting plants will be this easy. Should have discovered this earlier! Gave it a try, definitely happy with the result! This is the second time I ordered, the first has such great quality, bought this new one for my gardener friend! I tried it once and I am very pleased with the result. It's easier to tend my garden now. Absolutely love this grafter!